Joe and I skipped out of town for a few days and flew down to San Diego for some much needed sunshine. A perfect excuse to celebrate my man's birthday. Mainly though we went to spend time with Joe's bro, Craig and his very lovely girlfriend, Dolores. 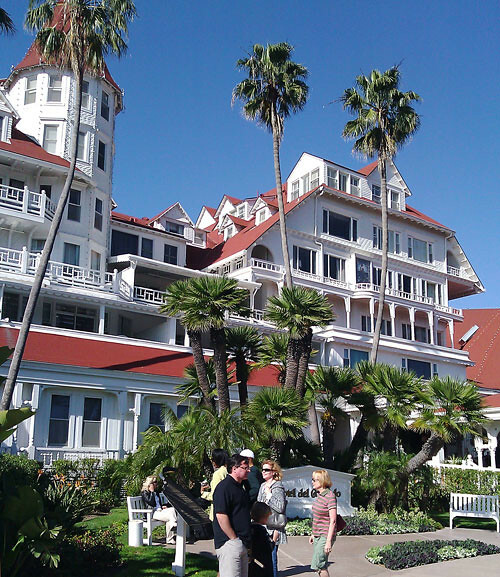 On a sunny afternoon we drove out by the San Diego Bay to Coronado Beach to explore the beauty of the Hotel Del Coronado, a National Historic Landmark.